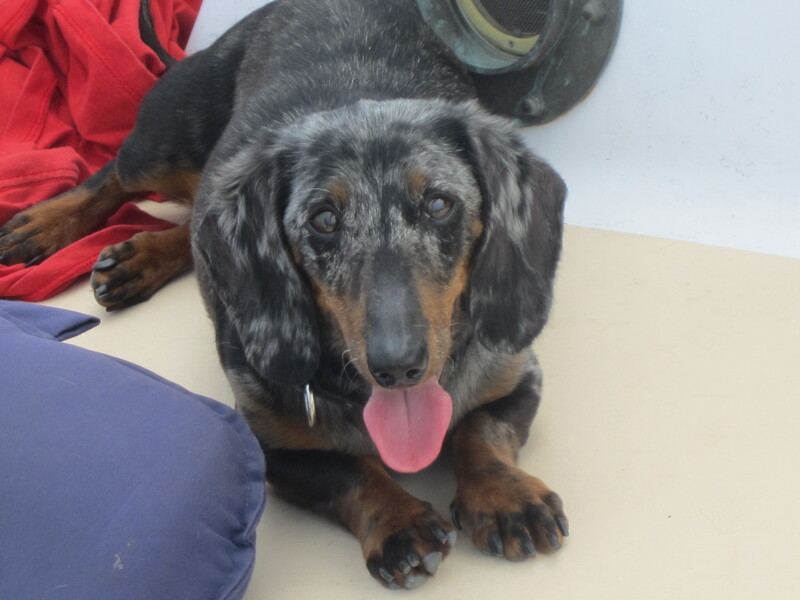 One more major obstacle complete – finding out if our dachshund, Phinneus can swim. The answer is yes, he can! Unfortunately, there is no video or pictures of this momentus occasion because we went for a walk around the seawall tonight, and the tide was perfect for a swimming lesson. Brian was kind enough to carry him into Ash Creek, and let him swim ashore. He was like a minnow. He repeated his success multiple times, so it was not a fluke. The funniest part of the whole ordeal was his attempt to shake off the water. He will need to work on that, a lot. This big success may not seem like much to most, but we are taking 2 dogs with us while cruising. Phinneus who tries to never gets his feet wet over the past 11 years, but loves to be on the boat. The other dog, Pickles, is a 3 legged Chihuahua, who had knee surgery last year on her one good back leg. There really is no expectation of her swimming but I am sure at some point we will try. As we were walking home, I came to the realization that it is both a positive and a negative that Phinneus can swim. When he has been on the boat in the past, we never had to worry about him jumping in overboard to chase the schools of fish (a positive), now, he can swim (a positive) nothing will keep him from jumping in to go fishing (definitely a negative).